Jessica Bateman, pictured with her dog Moxie, enjoys identifying plants while hiking. Photo courtesy: Jessica Bateman. 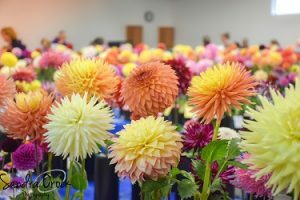 Thurston County is full of incredible people, all of whom help to make our area a place we are proud to call home. 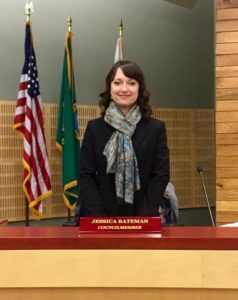 For those living in Olympia, one person fighting to continue to make Olympia a great city is Jessica Bateman, who is currently serving on the Olympia City Council. Although she was only elected to office in November of 2015, Jessica has been working in the community for the better part of a decade, becoming a fixture for policy and advocacy issues around Thurston County and helping empower Olympia residents of all ages, races and walks of life. 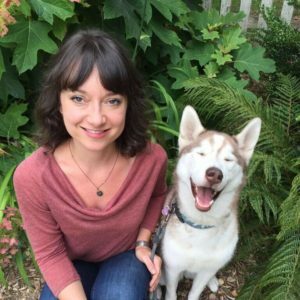 While many know Jessica as a member of the Olympia City Council, she has been a vocal and driven member of our city for years, highlighted by her work with non-profit organizations. 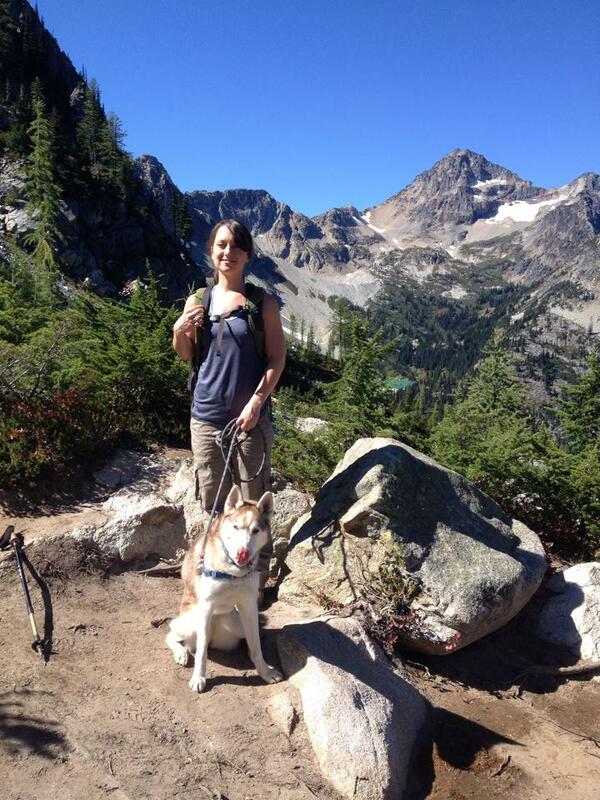 Jessica Bateman is pictured out on a hike in the Cascades with her dog Moxie. Photo courtesy: Jessica Bateman. At the age of 25, Jessica moved to Olympia to attend The Evergreen State College after spending two years studying at Green River College. Raised by a single mom, Jessica was the first member of her family to go to college, and she graduated from Evergreen with an undergraduate degree in Environmental Studies and a graduate degree in Public Administration. It was during her time at Evergreen that Jessica found herself connecting to Olympia and Thurston County, discovering her passion for working within the community. After graduation, Jessica stayed in Olympia, eventually buying a home and connecting to the city in every way possible. During the past decade in Olympia, Jessica has come to view the city as home and is proud of the town, people and direction it is moving. 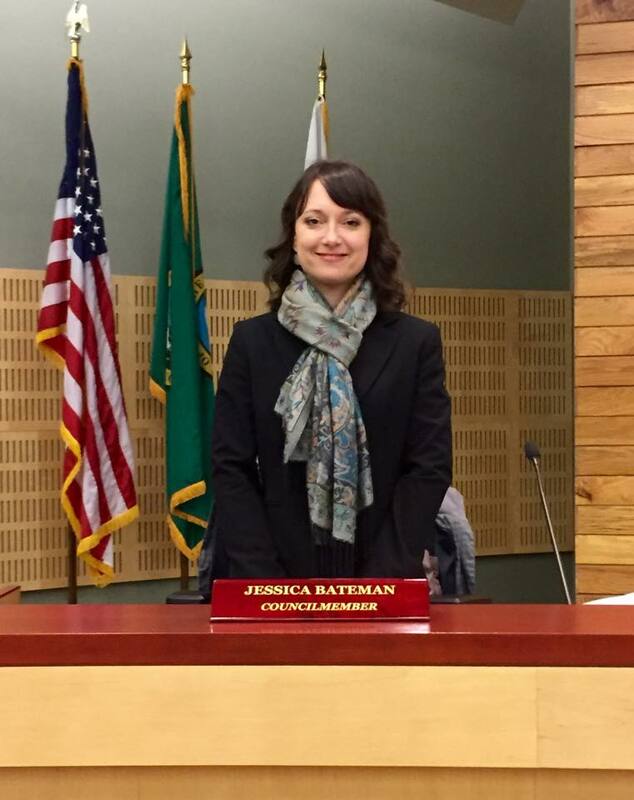 Jessica Bateman was elected to the Olympia City Council in November 2015. The 35-year-old works at the United Way of Thurston County. Photo courtesy: Jessica Bateman. Today, when not focusing on city council issues, Jessica works at the United Way of Thurston County, providing her with many moments in which she is overwhelmed with pride for the community. In 2015 she helped organize and oversaw a series called “Moving Beyond Poverty,” where Olympia hosted a conference to help the community learn about the barriers of intergenerational poverty. By looking closely at how that challenge impacts lives, the series created an opportunity and a conversation about how the region can help to eliminate those barriers for individuals. She followed up in 2016 with case studies of successful interdisciplinary projects in our community and the creation of a one-stop shop for kids, providing food assistance, physicals for sports, vaccines, medical appointments, mental health support, and clothing, which has helped many youth of the region. Jessica is also proud of the partners that have come together for he Providence Community Care Center. The downtown Olympia clinic will help the region’s homeless with access to food, housing assistance, and mental and physical help. 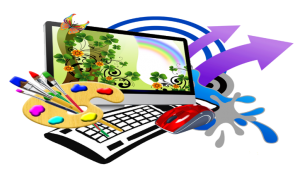 The clinic is set to open this summer, bringing together stand-alone services in one place. While Jessica is consumed by her job and helping the community, often working well over 60 hours a week, she still finds time to enjoy the simpler things in life. With her adorable dog Moxie, she can frequently be found at McLane Creek Nature Trail, walking the trails and taking the time to look at the region’s incredible diverse flora. 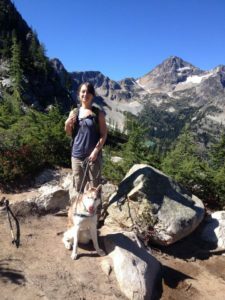 As a self-described plant nerd, Jessica enjoys taking plant identification books with her on hikes, marveling at the beauty of the Pacific Northwest. 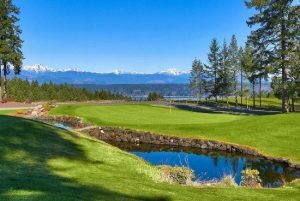 She enjoys Olympia’s festivals and the proximity to the trails and mountains of the Olympic Peninsula. For Olympia City Councilwoman Jessica Bateman, Olympia is not just another stop on her journey. She has felt at home since she moved here and is connected to the region in so many ways. From her jobs and her political career to exploring the natural wonders of the region, Olympia is a perfect fit for Jessica as well as some place where she will remain politically involved and engaged in all aspects of making the community a gem of the Pacific Northwest.